This multi-purpose facility is designed as a community center to meet recreational, wellness and social needs of residents in Marion and surrounding communities. Please make a pledge or a tax deductible donation today by filling out a pledge card online. Imagin8, a community visioning process of the City of Marion, proposes completing eight projects within the next 10 years, including a “functions & fitness” facility for Marion residents. 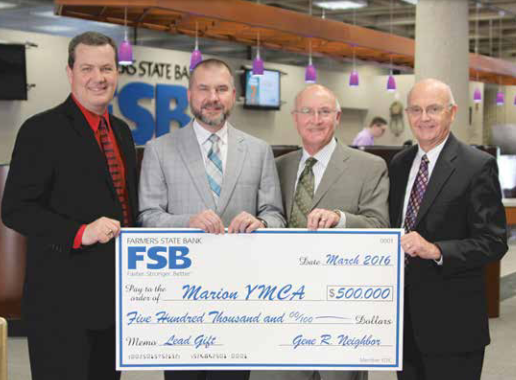 The City of Marion announces “functions & fitness” facility partnership with the YMCA, contributing $6.5M to the new facility. The Hall-Perrine Foundation announces a matching $2M contribution to the project. Farmers State Bank and the Neighbor Family pledge a lead gift of $500,000 to the project. The Armstrong Trust announces a $200,000 gift to the project. YMCA names and begins building’s design with OPN as the architectural partner. Scheel’s All Sports in Coralville, IA pledges a donation of $250,000 to the project. 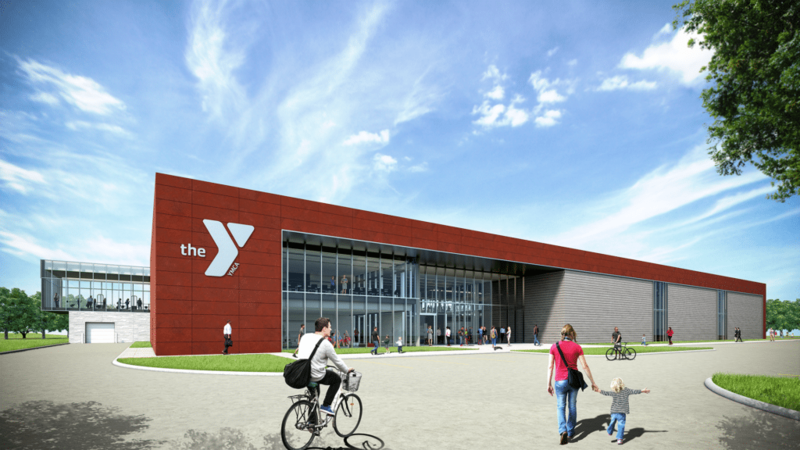 YMCA selects Knutson Construction as the General Contractor and partner for the new Marion YMCA. 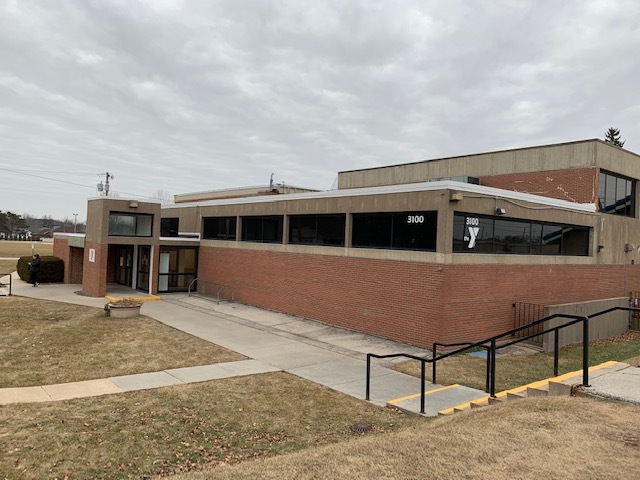 The final location for the new building is selected and purchased from Curt and Barb Gill at the corner of Tower Terrace Road and Irish Drive. The new site prioritized a city and recreation corridor by being located on the same street as Lowe Park, Gill Park and the future Fire Station #3. The City of Marion advanced $1M of their initial investment for the land acquisition. View Gazette article. The Marion City Council approves an additional cash infusion of $800,000 and a Fiscal Year 2020 lump sum payment of their remaining $5.5M contribution towards the project. A joint operations agreement is also approved between the YMCA and the city. View Marion Times article. will provide enhanced and increased program offerings for all community residents. A state-of-the-art community center for all residents to meet, connect and play. 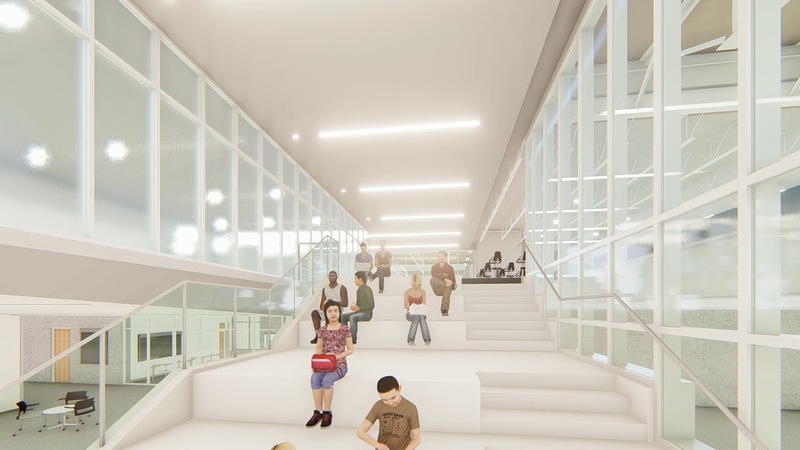 The entry lobby and social stairs will enable members to hang out before or after a workout to re-energize and connect with friends and neighbors. The first floor community room provides ample area for viewers of swimming classes, a cafeteria for the connected healthy café and a space for birthday parties. with a six lane lap pool, separate warm water pool and an indoor 1/8th of a mile soft-surface running track. Over 7,000 square feet of fitness equipment, including a wide-variety of cardio/weight machines, free weights and a multi-use QueenAx™ “adult playground”. Gym space is highly sought after throughout the Eastern Iowa region, especially in Marion. 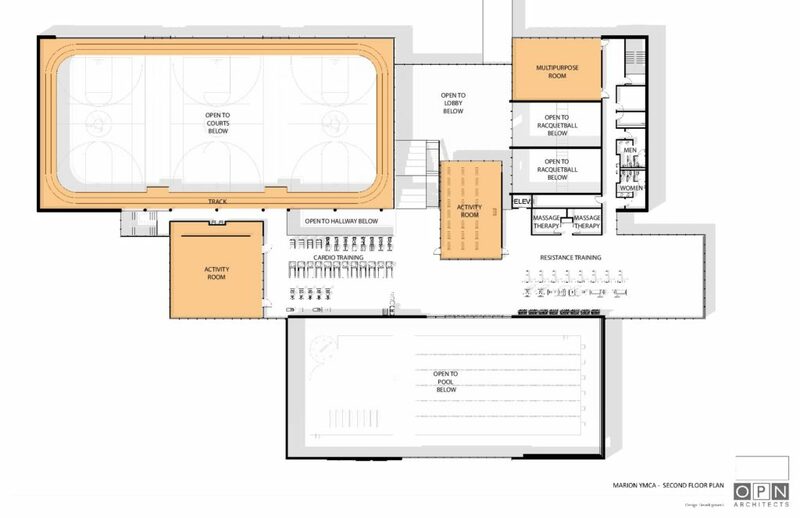 Three high-school size basketball courts will expand the options for regional basketball/volleyball leagues and tournaments. 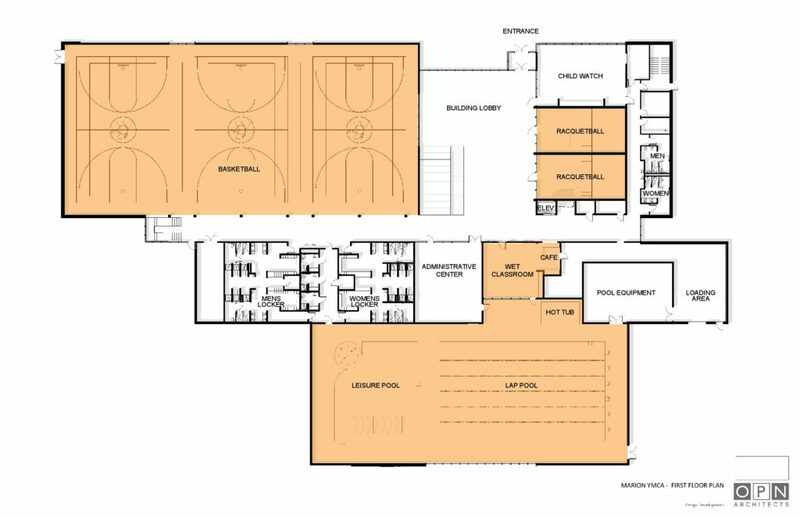 There’s also space for a future fourth gym expansion. which connects the northern part of the region. It will be situated with easy access to existing outdoor field space at Gill and Lowe Parks and positioned near the future geographical center of Marion. A social services provider contributing many opportunities for at-risk kids to better themselves. including a spacious, safe and healthy play area operated by trained YMCA staff. This state-of-the-art facility will further enhance the quality of life in Marion and boost neighboring property values. The multi-generational space will support people of all ages, whether they were born and raised here or wish to make Marion the place they call home.